Buy online BH1750 Light Sensor Module in India at low price from DNA Technology, Nashik. 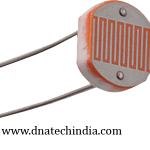 BH1750 is a calibrated digital light sensor IC that measures the incident light intensity and converts it into a 16-bit digital number. It can measure ambient light intensity ranging from 0 to 65535 Lux (L). The Lux is an SI unit for illuminance and is equal to one lumen per square meter. The BH1750 Light sensor directly gives output in Lux. The spectral response function of the sensor is approximately close to that of the human eye. The sensor output can be accessed through an I2C interface. The 7-bit I2C address is 0×23 if the ADD pin is grounded, or 0x5C if ADD is tied to VCC. This IC is the suitable for obtaining the ambient light data. It is possible to detect wide range at high resolution. 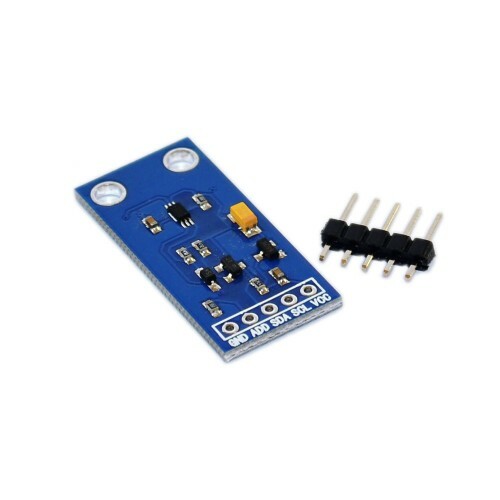 This is a BH1750 light intensity sensor breakout board with a 16 bit AD converter built-in which can directly output a digital signal, there is no need for complicated calculations. This is a more acurate and easier to use version of the simple LDR which only outputs a voltage that needs to be calculated in order to obtain meaningful data. With the BH1750 Light Sensor intensity can be directly measured by the luxmeter, without needing to make calculations. The data which is output by this sensor is directly output in Lux (Lx). When objects which are lighted in homogeneous get the 1 lx luminous flux in one square meter ,their light intensity is 1 lx. Sometimes to take good advantage of the illuminant, you can add a reflector to the illuminant.So that there will be more luminous flux in some directions and it can increase the illumination of the target surface. Interfacing of BH1750 Light Sensor With Ardiuno. 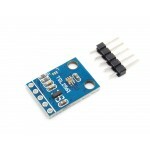 ISL29125 RGB Light SensorIf you’ve had ideas for a project that depends on the ability to sense diff..
TSL2561 Luminosity Sensor BreakoutThe TSL2561 Luminosity Sensor Breakout is a sophisticated light se..